Click the button below to add the 2 X 10 FLOWER RESIN VENT COVER to your wish list. A simple design drawing influences from throughout the ancient world. This pattern can also be seen in many churches. 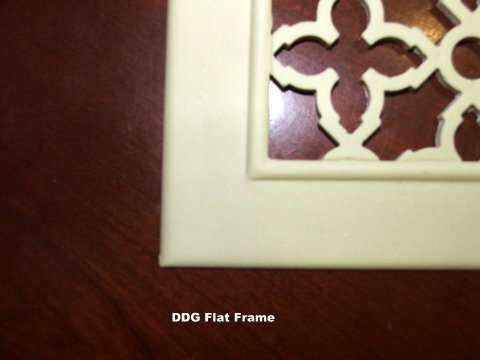 Our Resin registers and vent covers offer an affordable alternative to standard bronze and aluminum grilles. 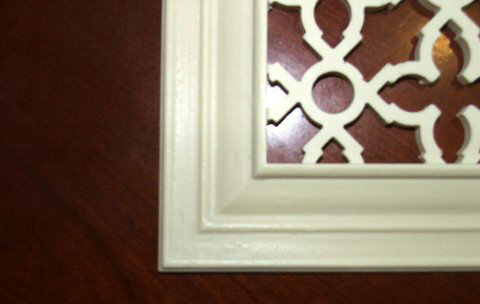 These registers and vent covers are primarily for wall and ceiling installation. Screw holes are optional and you have two choices of frames (see below).